Long-time whale and seabird scientist Laurie Murison has started a new blog featuring the North Atlantic Right Whale Adoption Program; your chance to "adopt" a right whale and support research at the same time. Laurie "is the chair of the Swallowtail Keepers Society, a community dedicated to the safeguarding and preservation of Grand Manan's historic light stations. 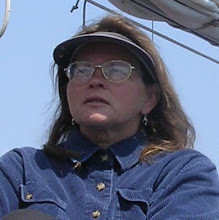 Laurie is also the Executive Driector of the Grand Manan Whale & Seabird Research Station and is the coordinator for the Adopt Right Whales program which allows people to sympbolically adopt a right whale, mother and calf pair or a family to help protect and promote the recovery of this endangered whale."